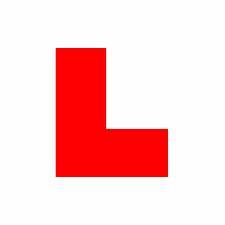 Most people learning to drive will take regular lessons every week over the course of several months to a year. This standard way of learning is useful in the way that it enables learners to slowly build up their experience on the roads, giving them plenty of time (as long as they need) to grow comfortable enough in order to take their test. There is, however, another way of learning, and that’s by taking an intensive driving course over a period of just a few days. You can choose to either spread the days out over a period of a few weeks, or simply take off for a week and get it done all in one go ( Look at the driving lessons in Liverpool example here). Intensive courses require a hefty pay-out upfront, meaning you’ll need to have the cash available before you can commit to one. However, they can often end up more cost-effective in the long run, as some people can pay over £1000 for regular lessons before they’ve even discussed taking their test. Taking an intensive course is the ideal solution if you need to learn to drive in a hurry, for a reason like a job requirement or a relocation. For many, getting it all over an done with in a contained period is appealing. It means they can simply block out all other life distractions whilst they concentrate on their goal. An intensive course requires total dedication and commitment on your part in order to bring about the most successful results. If your heart’s not in it, and you’re not intent on learning as much as you can in the allotted period, then it’s probably not the best use of your time, or your money! Intensive courses have the potential to feel overwhelming and stressful. You’ll be spending several hours a day with your driving instructor in a confined period, so its really important you choose the right one. There’ll also be no time to feel disheartened about your mistakes or ponder about what went wrong in between lessons – you’ll be right back behind the wheel again the following day! However, many people view this as a good thing, as it pushes you to keep going when things get tough. You’ll probably be required to spend time away from home (up to a week) should you choose to do your intensive course all at once. This can be difficult for home-birds, but others prefer to get time away from family and friends whilst they focus on achieving their goal. e driving course test usually only need a handful of more short lessons to tweak any shortcomings and patch up their mistakes. Your instructor will be happy to give you any additional help you need, or you may wish to try someone new instead. Some people believe t hat 1-2 weeks is not an appropriate amount of time to equip somebody with the knowledge and experience needed for something as huge as driving. With the learner needing to digest so much knowledge very quickly, the retention of this information may also not be very high, meaning the learner might have forgotten a lot of it just weeks after doing their course. However, with constant practice even after passing one’s test, new drivers can build up this experience slowly, and driving with other more experienced drivers can also be a good aid to eventually driving independently. 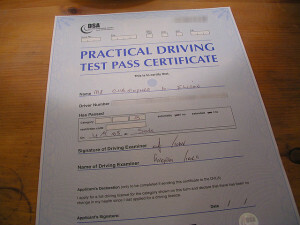 Passing a test is only the beginning – learning to drive with confidence will come later. 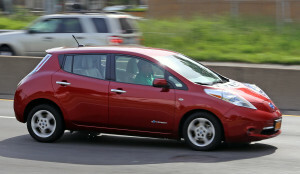 How Accessible Will Driverless Cars Be? Could You Get Cash Back If You Pass Test First Time? Is It Worth Learning To Drive In London?